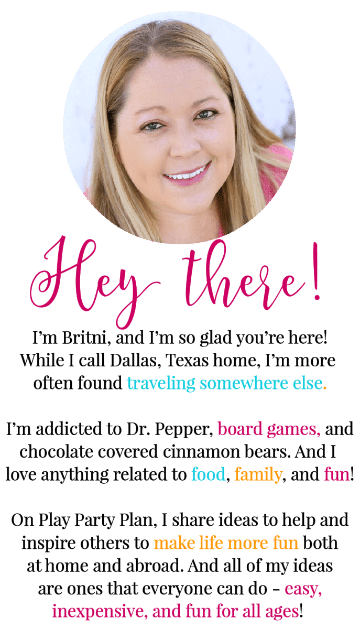 You are here: Home / Fun & Games / The Ultimate 4th of July Party Planning Guide – Games, Food, Decorations, Hacks, and More! 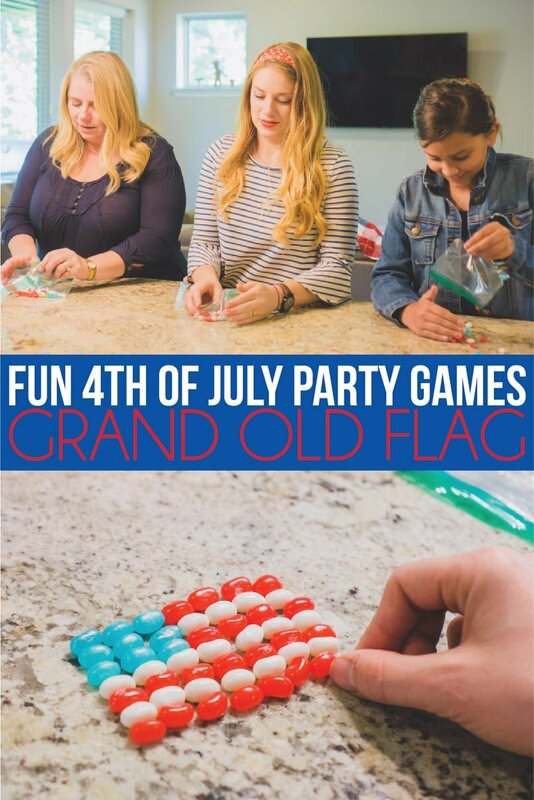 The Ultimate 4th of July Party Planning Guide – Games, Food, Decorations, Hacks, and More! These patriotic party games, party hacks, and party planning tips will help you throw the best summer party ever! 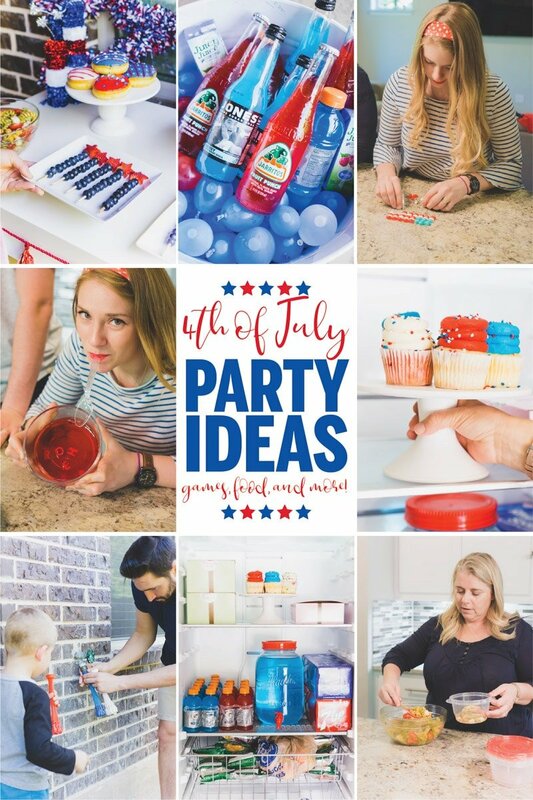 Whether you’re looking for 4th of July party ideas, 4th of July party games, or even just summer party ideas – you’ll find everything you need! 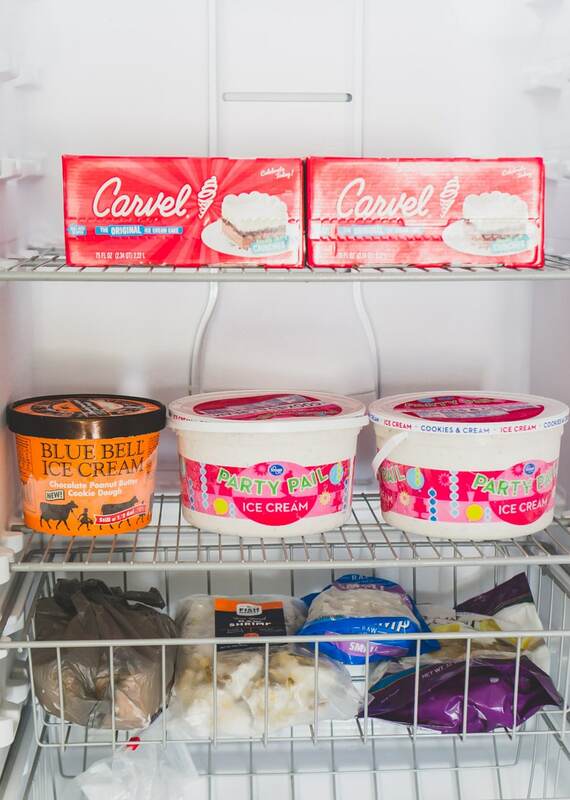 And the perfect entertainment fridge and freezer to help with all of that summer party planning! This post is sponsored by Gladiator®. All opinions, ideas, and photos are 100% honest and my own. Have you ever noticed that all three of the major summer holidays are patriotic ones? Not sure how that happened but during the summer we see a lot of red, white, and blue! And a lot of outdoor barbecues, backyard bashes, and parties designed to beat the heat! These patriotic party games, party hacks, and party planning tips will help you throw the best summer party ever! 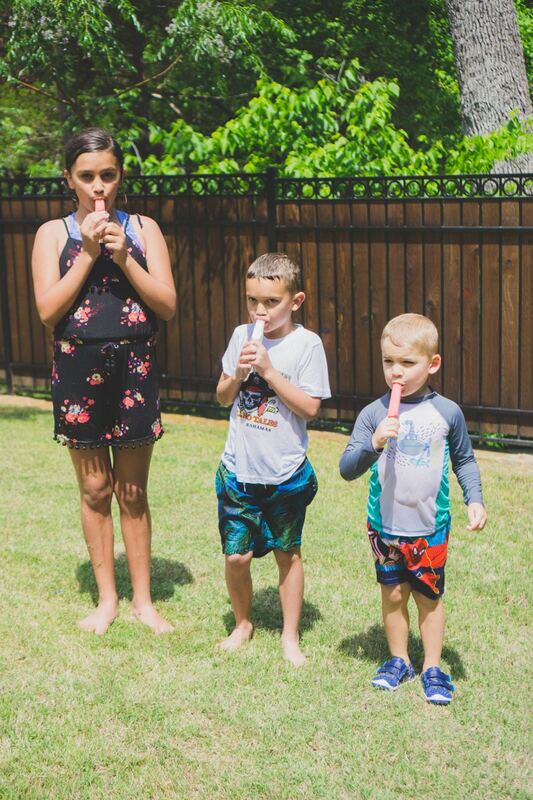 I’ve put together some tips, tricks, hacks, and of course 4th of July party games to make throwing a bash for any of the big three “summer” events easier. Make sure to read the entire post, the games are toward the end in all of their glory, old glory that is. And speaking of easy, first I want to introduce you to a game-changer when it comes to party planning. 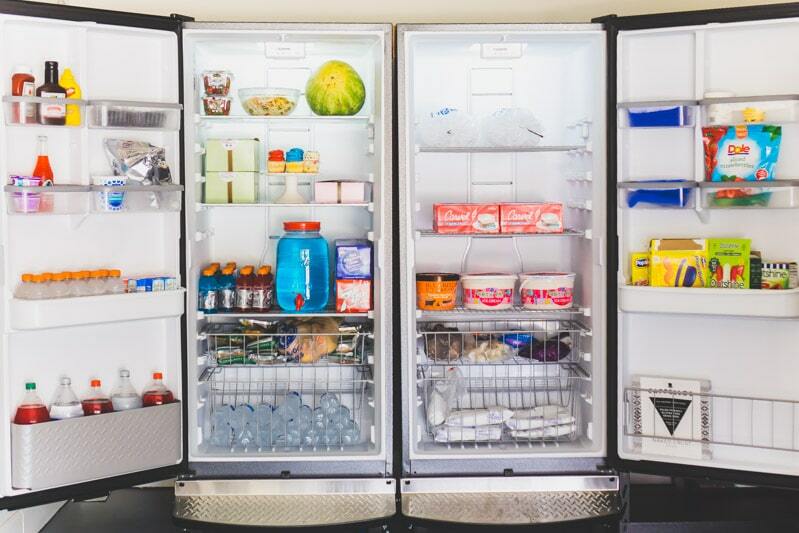 Meet my new garage appliances – the Gladiator® All Refrigerator and Gladiator Upright Freezer. I don’t use the term game-changer lightly. These things really have changed how I shop, prep, and cook for parties. Just like I plan out all of the little details for my parties, these appliances were designed with the little details not only in mind but in the forefront of the design. There’s a stainless-steel foot pedal on both appliances that lets you open the doors with a single step. A foot pedal! 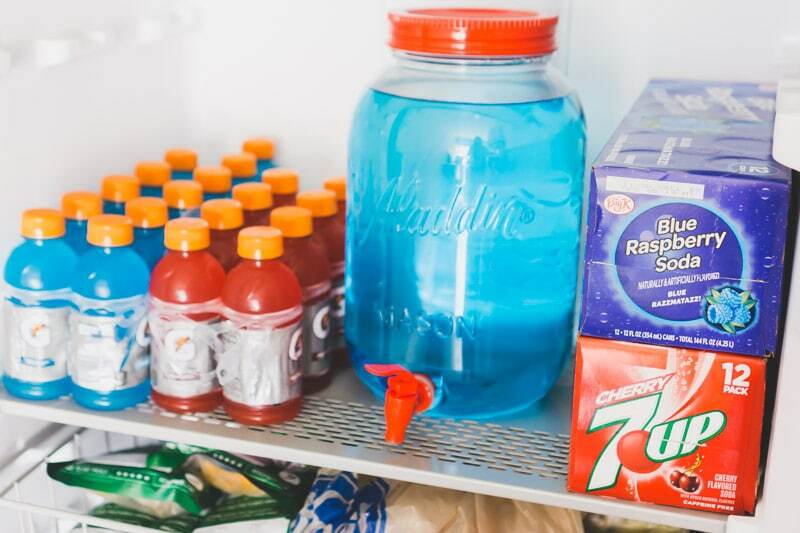 The industry’s only step-to-open All Refrigerator makes it easy to stock up when your hands are full. Now you can simply press down with your foot and the door pops open for you to load the groceries. And the insides of the appliances are designed specifically with parties in mind – so much space, adjustable shelves, and more! 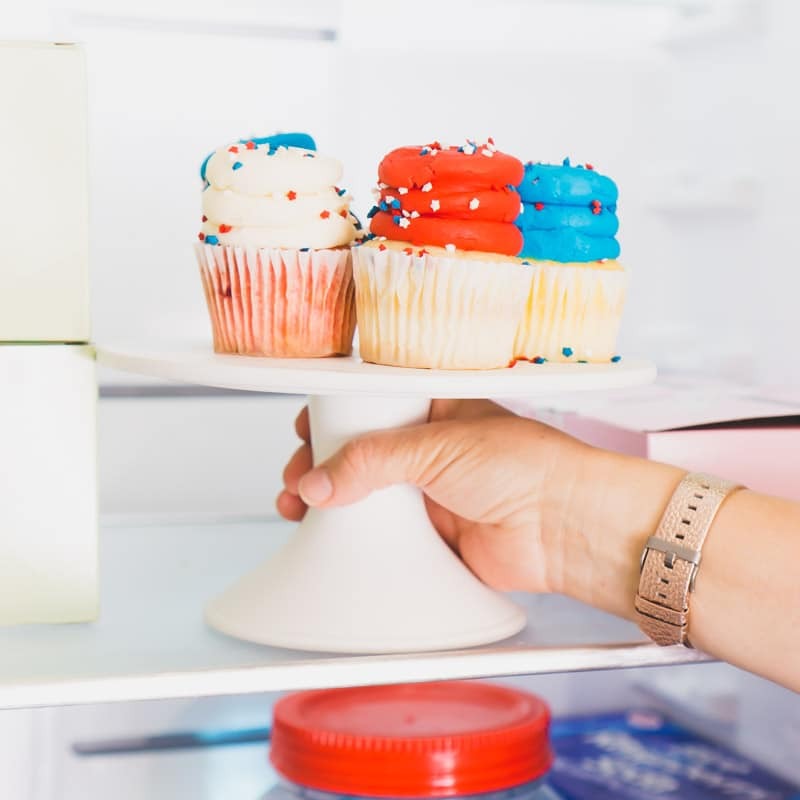 Read through my patriotic party planning tips to see how these appliances have truly been a game-changer for my party prep! Make planning a party this summer easier with these patriotic party planning tips! These would work well for any summer party – a patriotic pool party, 4th of July party, or even Labor Day as a goodbye to summer shindig! My party planning always starts well ahead of this as I’m figuring out my theme and menu but once you’ve figured that out, these party planning tips should help! Once you’ve planned out your menu – shop! Most food, perishable or not, will last three days. If there’s something you are worried about, you can always pick it up last-minute but that’s why I like to shop three days ahead of time – so you have time to pick up last-minute things if necessary. This only works if you actually have space to store your groceries! Before I got the Gladiator fridge and freezer, I couldn’t shop this far ahead of time because I just didn’t have space in my inside fridge/freezer. This was my old freezer situation. Compare that to my new fridge and freezer and the difference is laughable. There is so much space in both of my new appliances, which offers me the perfect amount of room to store large bulk items that are normally reserved for entertaining! It’s perfect! And all of those shelves adjust so you can really fit pretty much anything you want! Gallons of ice cream, bags of ice, punch jugs, cases of soda, watermelons, and more all went straight from my car to the appliances. 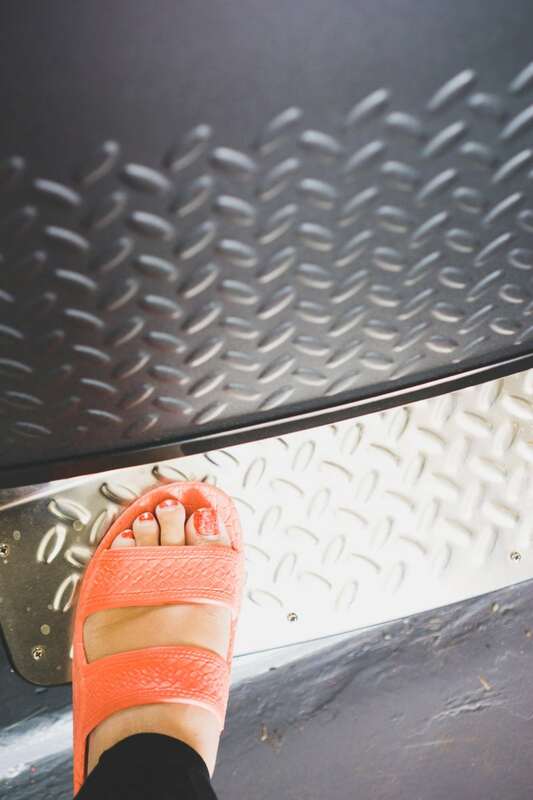 And don’t forget that foot pedal – loading the appliances is so much easier when you can open the door with your foot. It’s honestly got me wanting to add foot pedals to all the doors in my house. Not sure my husband will go for that but hey, it’s worth a shot! Party Hack: Plan semi-homemade food! Buy a store-bought cake then make it “homemade” by turning it into a flag with berries. 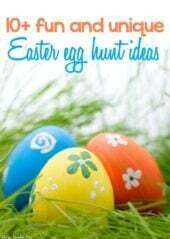 Or buy store-bought pasta salad and add your own touches to make it tastier and themed! A good rule of thumb for making food ahead of time is that if you can make it ahead of time, do it. If you can make a part of it ahead of time, make it. And when you’re planning out your menu, plan in things that you can make ahead of time. It’ll make your life, and party day especially, so much easier! Prep food and put on the trays or plates you’ll be serving them on. 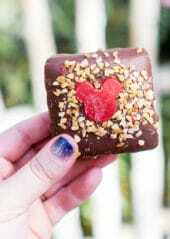 Cover them with plastic wrap and put in the fridge or freezer until it’s time to party! 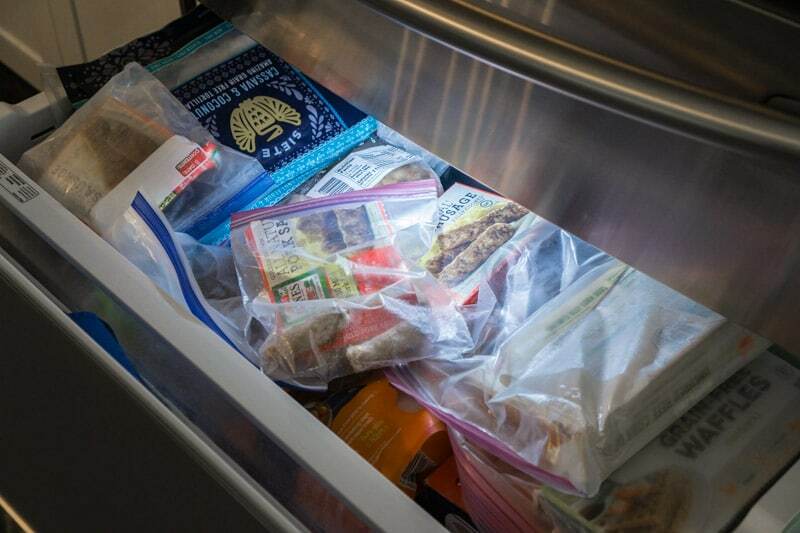 The extra-thick shelves in the fridge are perfect for loading up with trays of ready to go food! Party Hack: Skewer all the things for portion control! Instead of giving people full pieces of meat or fruit salad, make skewers so you don’t end up with so much food thrown away! Don’t let party day become too stressful for you to even enjoy the event! Use these tips to get through party day without a meltdown. One of my absolute favorite things is to design simple but pretty food tables like I did with this nautical 4th of July party. Putting together a table is a lot easier if you’re organized. As I’m planning out my ideas, I like to put everything I’m going to need on the Gladiator EZ Connect Rack Shelf next to my appliances. Whether it’s a particular cake stand, my mason jar punch jug, or just paper goods – everything goes there so I know where it is come party day! When party day rolls around, set up your table first. That way when food is ready, you can put it right on the table! And you won’t have to worry about your table not being done when guests arrive. 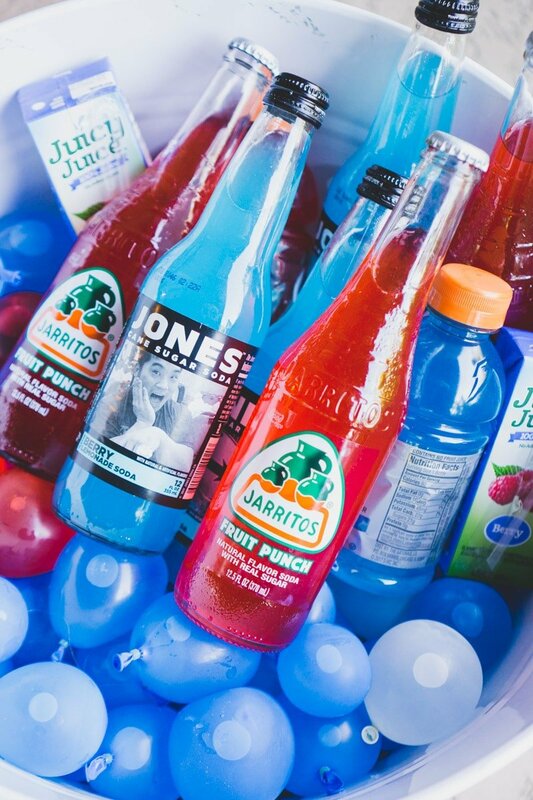 The drinks are almost as important as food, if not more important, for a patriotic summer party! Serve all different types – water, soda, juice, and maybe even a special themed drink like this citrus strawberry mocktail! 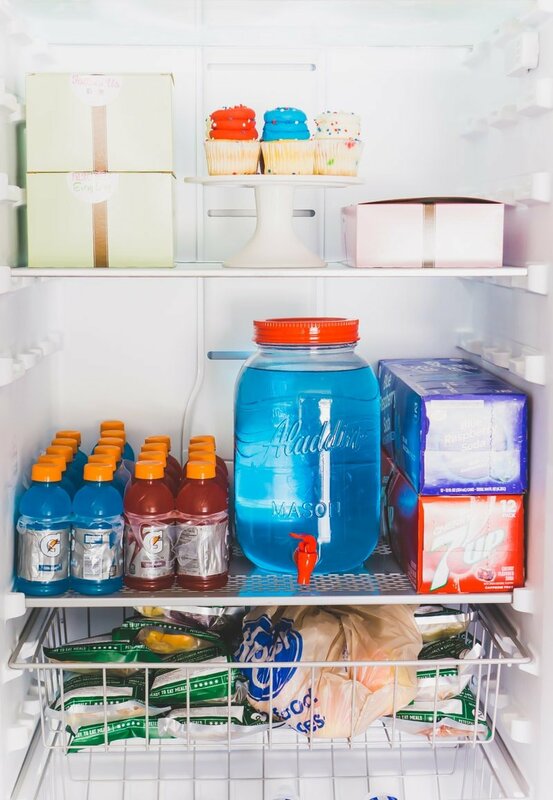 Keep all of your drinks chilled before the party in the fridge. With a specialized compartment that holds up to five 2-liter bottles vertically (no more stacking them horizontally in pyramids! 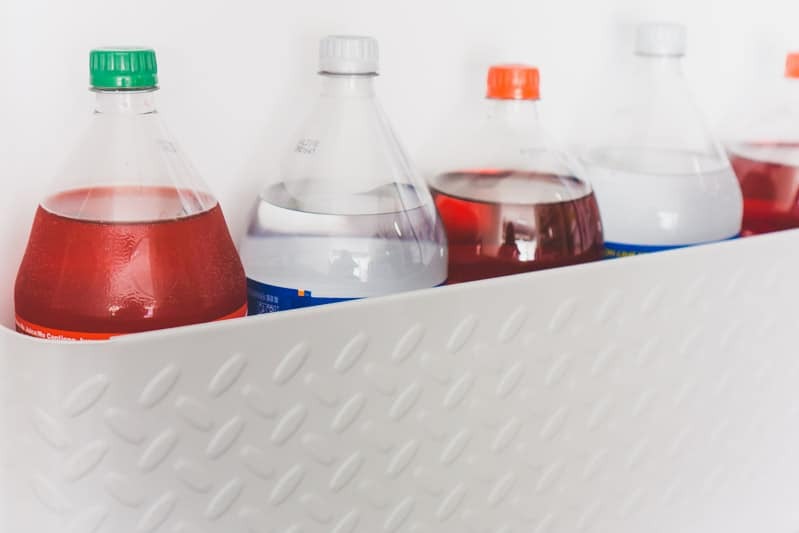 ), specially designed, scratch-resistant metal shelves shelves to hold heavy things like pre-made punch and cases of soda, it’s a fridge made for keeping drinks cold! And don’t forget to stock the freezer with ice! The adjustable, heavy-duty wire shelving in my freezer made it easy to buy multiple bags of ice and still have plenty of room for ice cream and popsicles. No warm drinks at my parties! 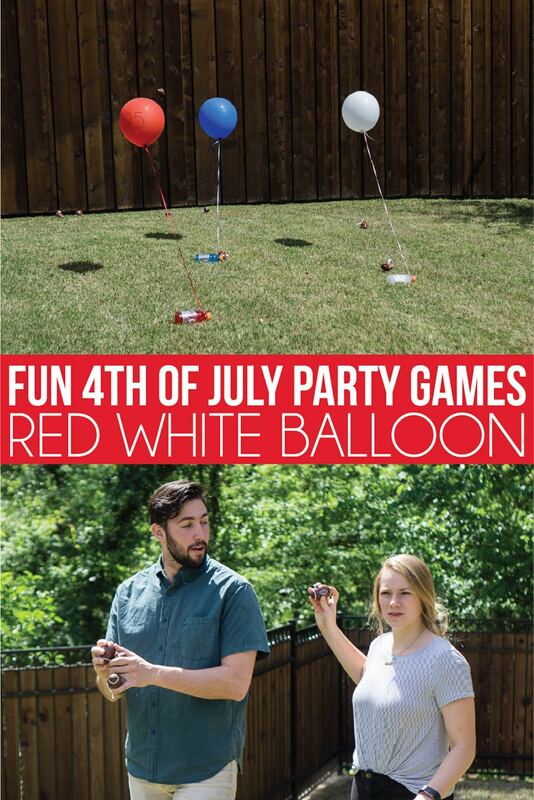 Party Hack: Freeze red, white, and blue water balloons to use instead of ice. Then let them do double duty for anyone that wants to have a water balloon fight (or play one of these water games) after they’ve thawed! Remember how you made a bunch of food the night before the party? Well now it’s time to add on those last-minute touches to finish things off! Take the cake out of the fridge and add berries to make it a flag. Add in the pasta salad mix-ins. 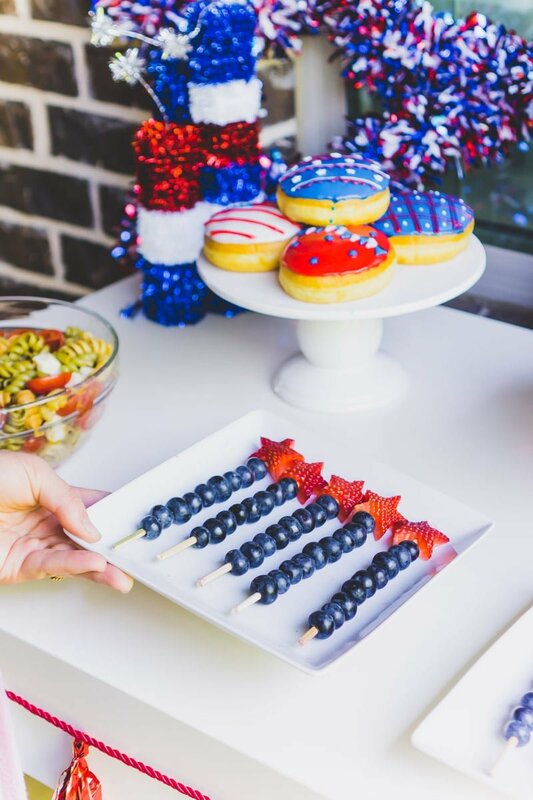 Drizzle glaze on the patriotic fruit skewers.Once the final touches are added to the food, put half on the party table and the other half back in the fridge. 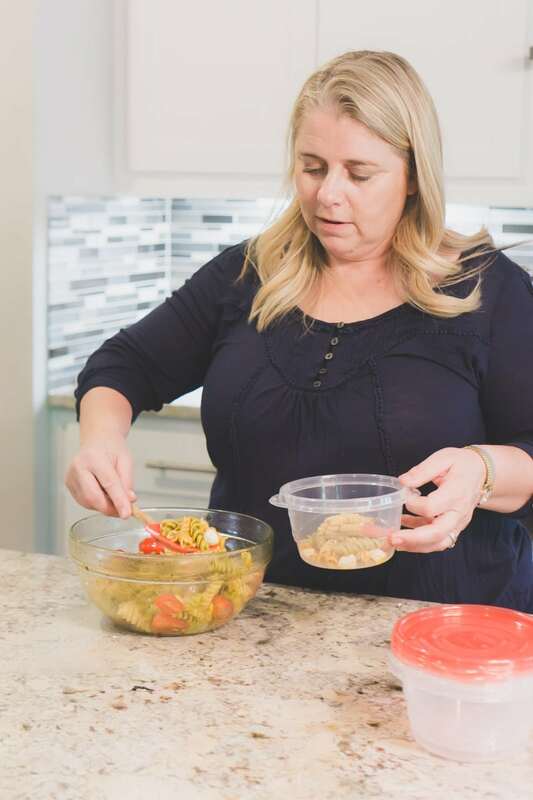 There’s enough space that you’ll have plenty of room even if you have big bowls of pasta salad, piles of watermelon slices, or even trays of meat skewers just waiting to be cooked! Party Hack: Use cookie cutters to add themed touches to your food! 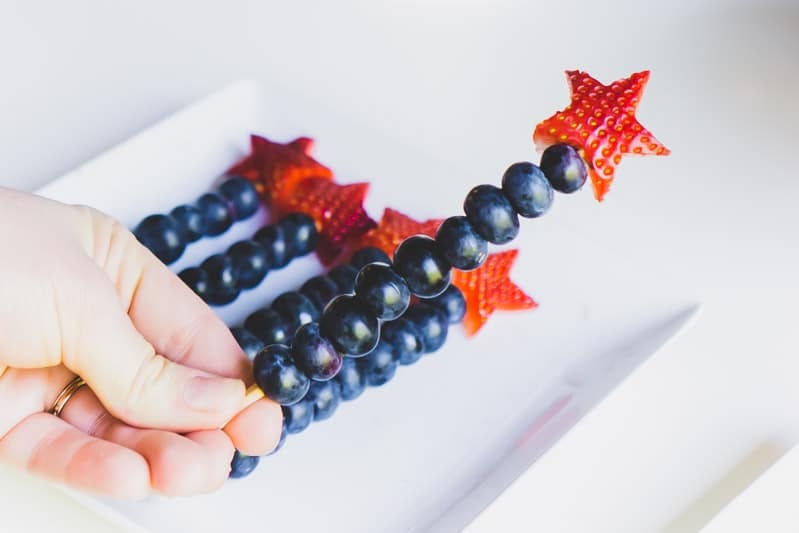 Put a strawberry star on top of a blueberry skewer, add red pepper stars to pasta salad, and more! Cut out the shapes the night before then add last minute if you’re worried about them losing their shape! The whole point of having a party is to spend time with people you care about. Don’t forget that in the craziness of the party! If you don’t get a chance to actually enjoy the party and other people’s company, why have the party in the first place? These tips can help give you a chance to enjoy yourself too! This is one of the most important tips I can give. Before the party, ask a couple of friends to be in charge of helping with specific things during the party. Assign someone to be in charge of watching to see if food needs to be refilled. Have someone be in charge of making sure the kids don’t get into anything they’re not supposed to. And have people assigned to help with clean up when it’s all over! Make sure to plan at least a couple of games, preferably active ones since most summer parties will be at least partially outdoor! 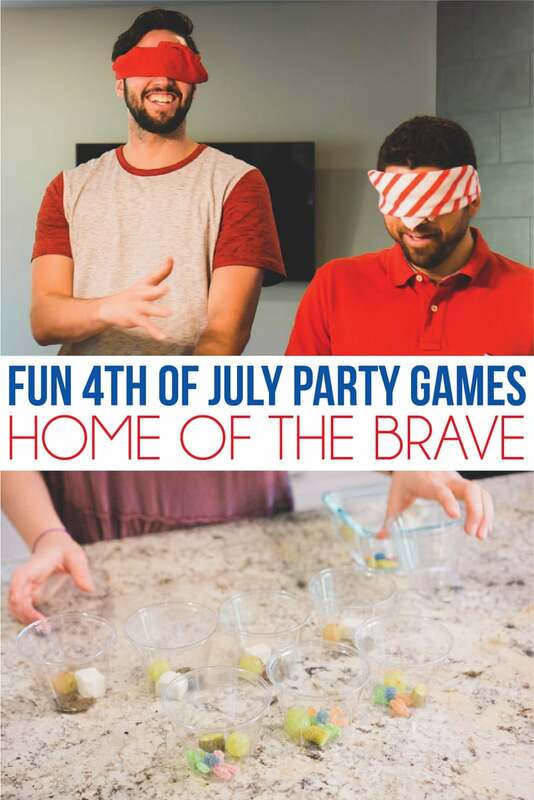 I’ve put together a bunch of our favorite patriotic party games below but you could also play these water games or any of these minute to win it games would work too! 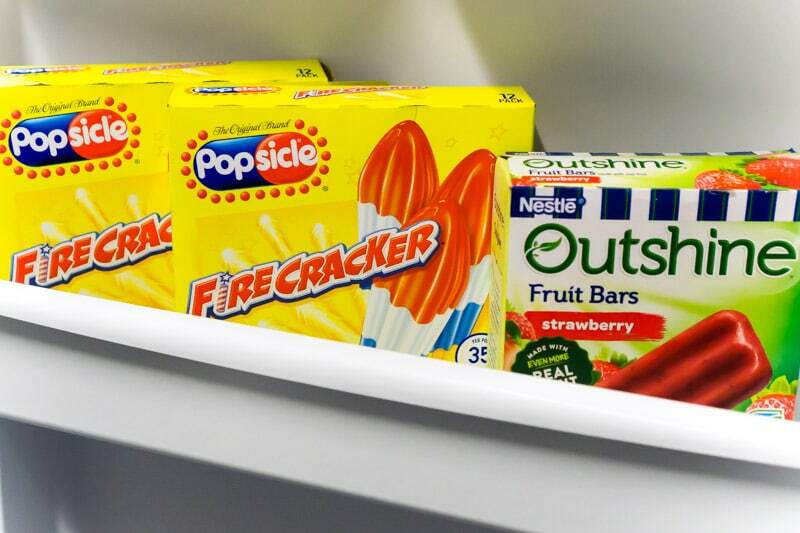 And don’t forget the popsicles to beat the heat after everyone runs around playing games! Stock the freezer full of everyone’s favorite red, white, and blue firework popsicles or get creative and go with fireworks popsicles for the kids and these blue lemonade popsicles for the adults. There’s plenty of space in the freezer door for all the popsicles whether they’re in a box or freestanding in a homemade popsicle tray. Almost as important as the party is planning for the after party aka the cleanup and sending people home portion of the party! Remember those shelves I talked about earlier where I put all of my party supplies to make setup easier? I also like to put disposable take home containers there and bring those babies out when the party is getting close to over. If you have take-home containers for people, they’ll take things home. And I can tell you right now – you’re going to want people to take things home. Somehow there is always food leftover and if you’re like me, leftover party food is typically desserts, snacks, and other things that won’t fit into your regular meals. 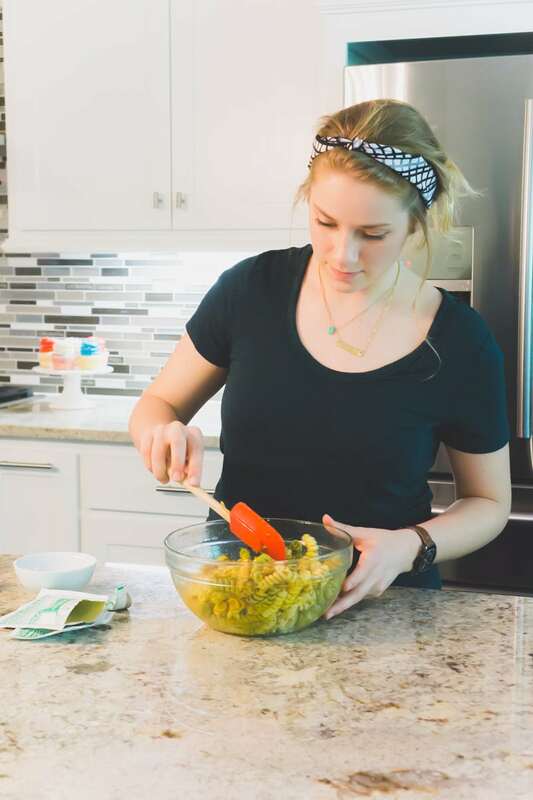 Any leftovers that aren’t taken home by friends, wrap with plastic wrap while still in their large containers and put them back in the fridge and freezer. No need to break them down into smaller containers when you have so much space! If you’re not going to eat something right away, put it in a freezer safe container and toss it in the freezer to enjoy later! The heavy-duty wire shelves in the freezer are made for holding tons of food! Party Hack: If you’re serving cupcakes, bring out plastic cups with your take home containers – pop a cupcake into a cup and it won’t run the risk of flipping over in the car! One of the most frustrating things for me is when I throw a party then decide to go to bed without cleaning it up. Waking up to a kitchen full of dirty dishes or a house that’s still trashed is just like asking to wake up on the wrong side of the bed. Assign a clean-up crew before the party to stick around and help clean up. Bribe them with leftovers or an offer to help them clean up their next event. Put furniture back. Put away food. Take out the trash. Do dishes. Clean up everything you can so that once you go to bed, you can wake up the next day with just good memories of the party – not the stress of having to clean up. And once it’s all cleaned up, grab a drink (or a leftover cupcake) and simply relax. Or go to sleep – your choice. 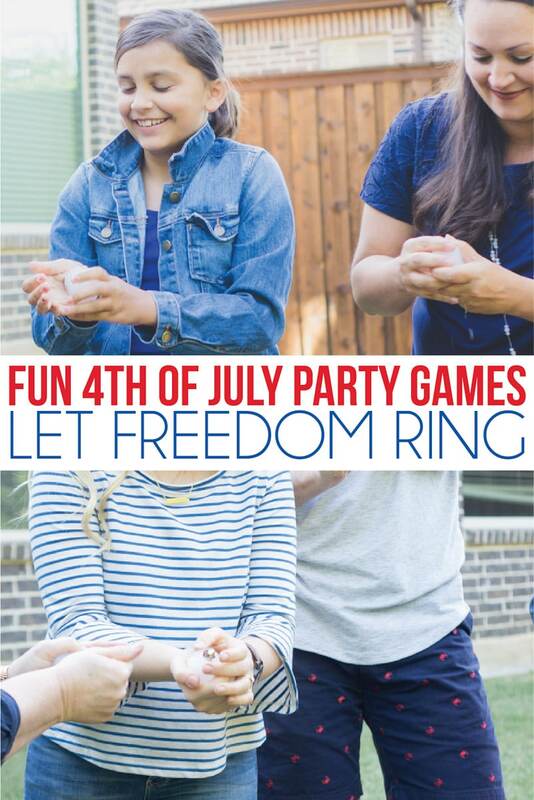 As promised, here are some of our favorite patriotic Party Games! 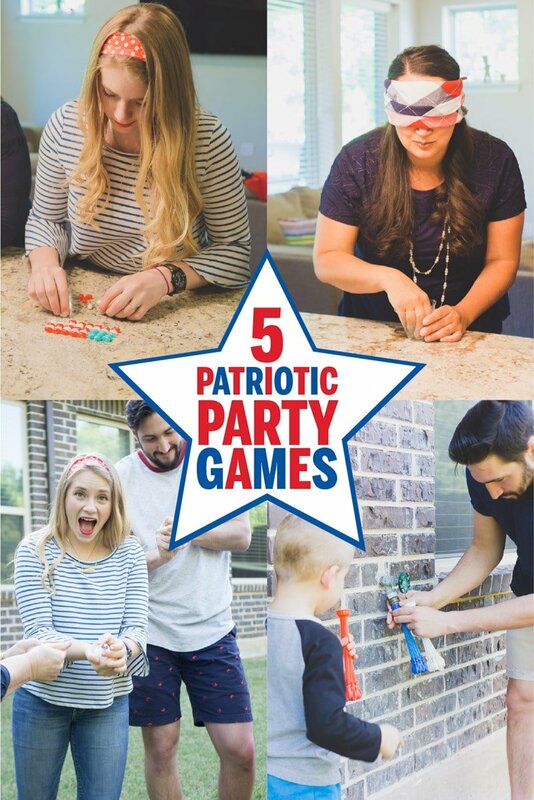 Whether you’re using these as 4th of July party games, Memorial Day party games, or even Labor day party games, these patriotic games are fun for all ages! If you want a little more passive fun, try this patriotic DIY ring toss game instead! Watch the video below to see how much fun these games are! Fill Dixie Cups half full with water then freeze. Place bell in cup on top of frozen water. Fill the rest of the cup (with the bell inside) almost to the top. Freeze again so the bell is frozen in the middle of the cup. Players must do whatever they can to get the bell out of the frozen cup of water and ring it. The only caveat is that they cannot throw the ice on the ground to just break it open. First person to get their bell out wins. This game is best played outside since the ice will likely be melting all over the place! You could do this with anything if you don’t have bells, like I did with these Frozen party games, but the bell makes it more fun! Make jello according to package instructions and split into bowls. I did two different bowls per small Jello package and four bowls for the larger packages. Place H-E-R-O letters inside of the jello (while still liquid). Put bowls of Jello with letters inside in the fridge and allow to chill for 3-4 hours. Give each player a bowl of Jello, a spoon, and a paper plate. Players must place the spoon in their mouth and using the spoon dig out all four letters and put those letters on the plate and put them in order to spell out HERO. The catch is don’t tell them what they are spelling – they must figure it out on their own! First person to get their letters out and put them in order on the plate wins. Gross but edible foods – tofu, blue cheese, seaweed, etc. If you’re doing this with kids, do “gross” foods like peeled grapes, gummy octopuses, and peas. Put together one plate of “bites of food” per person playing. So if you had four people playing, you would put together four plates (or cups) of food that have one of each food item on them. I typically like to do 4-5 different types of food. This is a great one to make ahead and store on a tray in the garage fridge overnight. Blindfold your guests who are going to play. Put a plate/cup full of food in front of them. 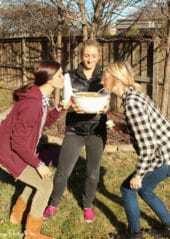 When you say go, players must eat the food in front of them – one at a time (so no just dumping the cup of food in their mouth) blindfolded so they don’t know what they’re eating. First player to finish all of their food and show you an empty mouth wins. Put together bags of jelly beans for each players with nine blue jelly beans, 22 red jelly beans, and 18 white jelly beans. Each bag needs exactly that. Give each player a bag of jelly beans and when you say go, they must use the jelly beans in the bag to create a flag. Don’t give them any instructions – just the bag. They must come up with what the flag looks like (nine blue jelly beans, red stripe on top and bottom) and use every jelly bean in their bag for the flag! First player to successfully create the flag using all of the jelly beans wins. Anything you can throw at the balloons – mini footballs, mini Captain America shields, water balls, etc. Fill three balloons with helium and tie them to a balloon weight or colored drink. Write 25 on one balloon, 50 on another, and 100 on the last. Tape a line on the ground and place a bucket of balls/throwing items in it. Place the balloons at least 10 feet from the line with the 25 one being closest to the line, the 50 being further away, and the 100 being the furthest away. Players must stand behind the line and toss the balls to try and hit the balloons. If they hit a balloon, they get that many points. Give players three throws to see how many points they can earn. If they hit all three balloons, they get the jackpot – 500 points! Player who scores the most points wins OR anyone who gets points wins a small prize. This is one of our favorite outdoor games. 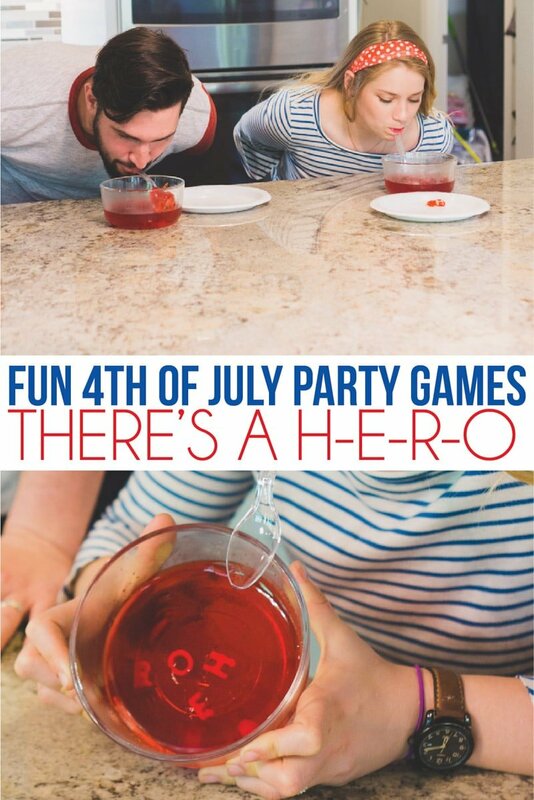 Don’t forget to pin these 4th of July party games for later! 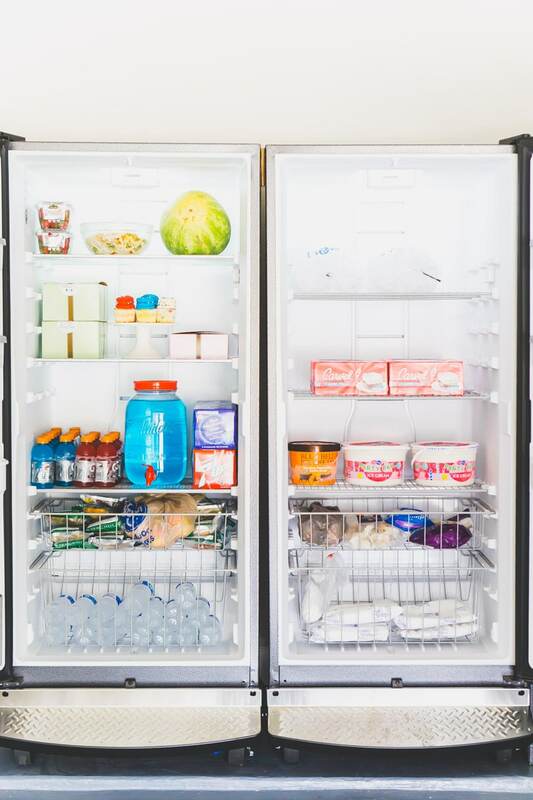 Note: Refrigerator contents may freeze if room temperatures reach 32°F (0°C) or below. Monitor food and beverages frequently for freezing, freshness and taste when using the refrigerator in cold locations. Note: And even in extreme temperatures from 0˚F to 110˚F, Gladiator Upright Freezer keeps all items properly frozen. Ice maker not included and not compatible with ice maker kit.